Digital photography is fun. Digital photography would be even more fun without those reiterative exposure problems. Annoyingly they occur especially in situations, where light is most beautiful - for instance on days with crystal clear air, cloudless sky and bright sunshine. Digital cameras simply can't cope with the very intensive interplay of light and shadow. Consequences are overexposure in light image areas and/or strong noise in dark areas. "Correct" exposure is often impossible. Cause for this nuisance is the technical imperfection of todays digital cameras. A thing the human eye manages effortlessly - the clean visualization of even the greatest intensity differences without "overexposure" or "noise" - is utterly impossible for a digital camera1. The following consideration shows a way out of this unsatisfying situation: what is impossible with one image, can be accomplished with several, differently exposed images. This way all areas of a scene are present optimally exposed, though in different images. The "only" thing one needs to do now is to combine these photos in a way that lets overexposure and noise disappear. That's the domain of FDRTools. But there is more! Maybe you know the situation: the photo you get from your digital camera looks dull, low-contrast or darkish and is far away from your memory of the scene. That's not a fate. Using a method called "Tone Mapping" FDRTools turns even unimposing photos into expressive works showing a degree of detail and contrast that was not considered possible until recently. FDRTools offers you image finishing on highest level employing state-of-the-art imaging algorithms! See for yourself. 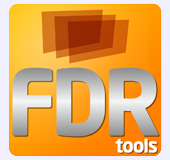 "FDRTools is a well laid out simple-to-use program that offers benefits not afforded by the other HDR merging programs. 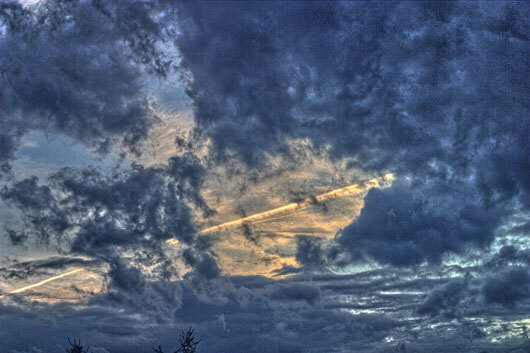 FDRTools has bridged the gap between merging and tonemapping; the user has the ability to look at the tone mapped image then in real time edit the merging of source images. The user can choose to include or not include a particular source image, can weight the influence of a source image from 0-100% (like opacity in PS), change the white balance, and remove ghosting. Think of the source images as an image stack similar to "layers" in Photoshop. Each change is made with a click or move of the slider button followed by an immediate update to the tone mapped image. It can't get anymore interactive than that." This holds for analog film as well, though not as pronounced.